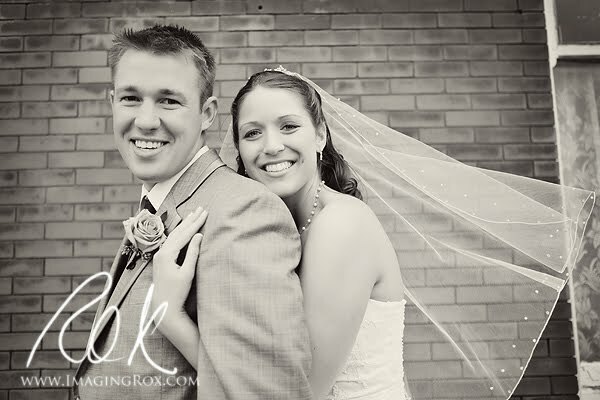 Emily & Beau were married on a mild October day, but nothing like the day we had today! Although the day seemed to be dampened a bit with drizzle, we were pretty lucky as the drizzle that fell seemed to occur right in line with our schedule. 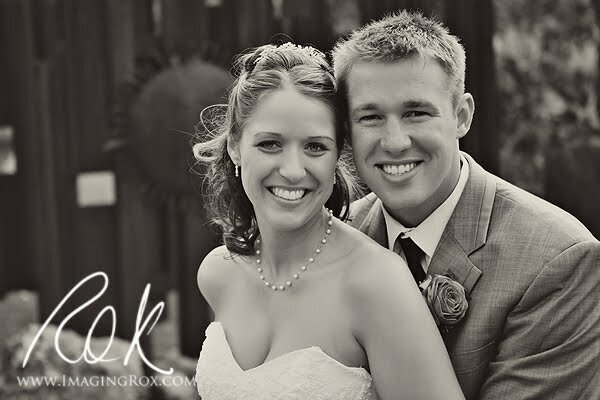 Emily and Beau had an emotional ceremony in a small church busting at the seams with close friends and family. I am fortunate to have celebrated their day with them! Here, Beau is adorning Emily with the beautiful necklace he gave her. 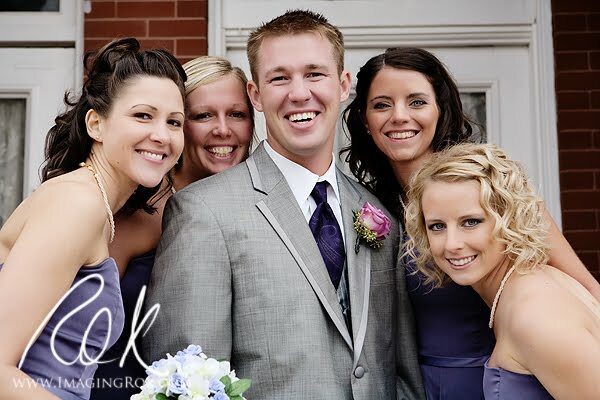 Emily was a gorgeous bride, surrounded by a classy looking group of men. Beau couldn't be outdone. He's surrounded by a bunch of classy ladies! I love the simplicity of her veil blowing in the breeze. 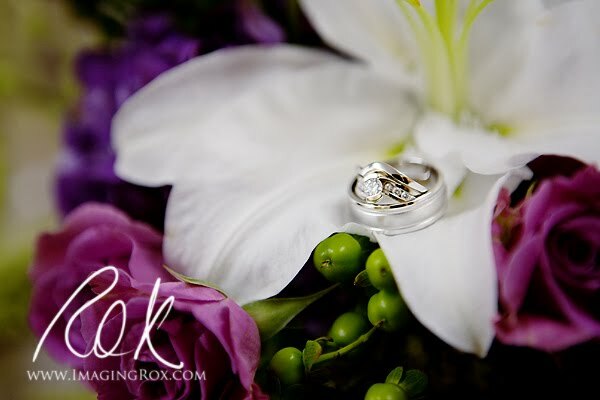 After the ceremony, we hopped over to the rock gardens in town for some intimate shots of just the two of them. The sun came out and it turned out to be a wonderful setting! I hope they have enjoyed their first month as husband and wife. Congratulations, Emily and Beau!